With only a few days until the weekend, the celebration of Easter and the start of Passover, we’ve made pulling together last-minute plans easy peasy. Luckily, the DMV has no shortage of possibilities. After you’ve dyed you own eggs using natural ingredients, plan a fun outing for farmily and friends. From Easter brunches and dinners to Passover tasting menus and seders, from special Easter cocktails to egg hunts for the young and not-so-young among us, DC is bursting with things to do this spring weekend. A Rake’s Progress will be celebrating the holiday with an Easter Feast on Sunday, April 21 from 11:00 am to 7:00 pm. Priced at $95 per person, the menu includes standout dishes such as sorghum-glazed ham, ember-grilled trout, mustard-crusted lamb and hot cross buns. Reservations can be made here and full details on the menu are here. Also, A Rake’s Bar’s Corey Polyoka has crafted a selection of new holiday cocktails. Try the Gingham, featuring Vitae Modern Gin, house made strawberry basil syrup, Verjus, honey and egg white, and a stenciled powder topping. BLT Steak will open for Easter Sunday from 3pm – 9pm to offer the steakhouse’s classic dinner menu, including raw bar selections, warm popovers and Certified Black Angus or USDA Prime steaks, in addition to a special blackboard menu, focused on seasonal ingredients and locally-grown items. Holiday specials include Japanese Wagyu Tartare ($26) with Beaver Creek quail yolk, cornichon and toast and Moulard Duck Breast Roulade ($42) with foie gras stuffing and rhubarb. For dessert, guests can enjoy items like Rhubarb with Strawberries, Fromage Blanc, Shortbread and Meringue ($10) or Pipe Dreams Ash Goat Cheese ($19) with rhubarb mostarda, apple, spiced nuts, and crackers. Make reservations by visiting BLT Steak’s website. Chef Ryan Ratino and his team at Michelin-starred Bresca invite you to celebrate Easter Sunday with a creative family-style seasonal menu featuring dishes such as Ocean Trout Crudo, Rohan Duck, and Veal Striploin. The three-course brunch is priced at $60 per person (exclusive of tax and gratuity). Price for children between 6-12 years of age is $30 per child (exclusive of tax and gratuity). For reservations, please call 202-518-7926 or book directly on OpenTable. On Sunday, April 21 Brothers And Sisters will be offering an all-day Easter Brunch menu including a carving station with steam buns highlighted by duck confit, whole cauliflower and lamb shoulder seasoned with cumin and Szechuan peppercorns. The full menu can be viewed here. On Easter Sunday, April 21st, Chef Brandwein will be serving a special menu with reservations available from 11am until 8pm. For reservations, visit OpenTable. The menu will include tuna crudo with calabrese chili, tempura fried soft shell crab, grilled lamb sausage with a white bean crema, and more. DBGB DC is Chef Daniel Boulud’s upscale casual bistro, located in CityCenterDC. Executive Chef Nicholas Tang offers modern French-American fare, including locally-sourced seafood and poultry, house-made sausages and seasonal vegetables. In celebration of Easter, DBGB will offer their classic a la carte menu in addition to holiday specials for both brunch, 11am – 4pm, and dinner, 5pm – 10pm. Special menu additions include items such as Roasted Leg of Lamb ($34), Sorghum Glazed Ham ($29) and a Rhubarb Tart ($13). To view DBGB’s full Easter menu, guests can click here and can make reservations by visiting their website. 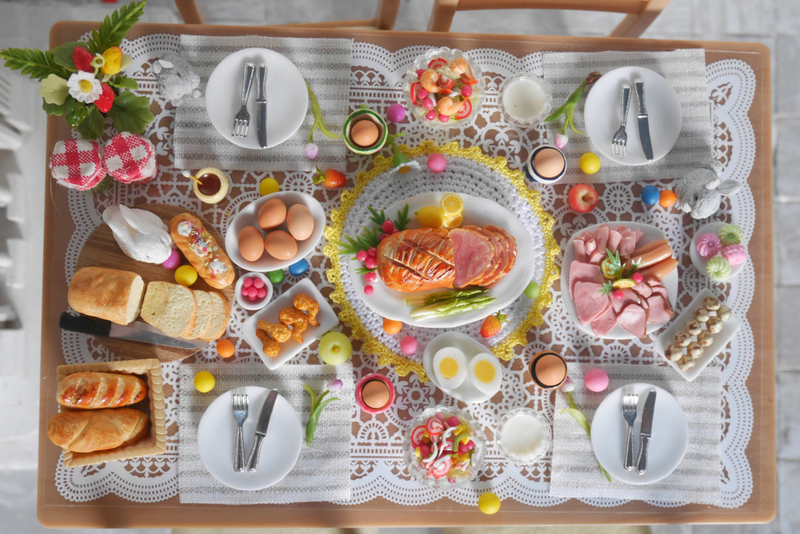 On Easter Sunday, Radiator’s popular all-you-can-eat brunch will be upgraded to a lavish holiday buffet perfect for families and kids of all ages. The elaborate spread from Executive Chef Jonathan Dearden will include an avocado toast bar, a local seafood-inspired raw bar, and a ribeye carving station. 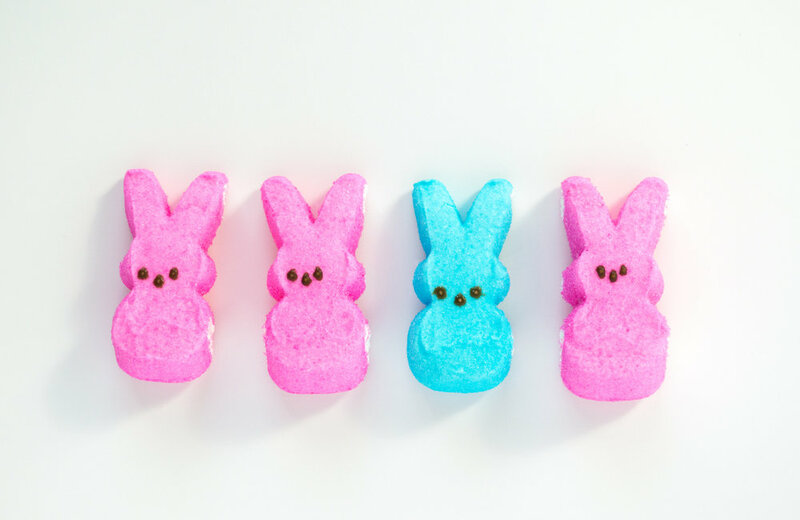 Priced at $42 for adults and $20 for children under 12, Radiator’s Easter Sunday Brunch Buffet will be served from 11:00 a.m. to 3:00 p.m. on Sunday, April 21. Each adult will receive a complimentary welcome mimosa to toast the special occasion. Reservations for brunch are encouraged and may be made by calling 202.742.3150 or visiting www.radiatordc.com. From April 19th until April 27th, stop in and enjoy the Passover tasting menu, with the option to order a la carte as well. The menu is $55 per person and features wood-roasted artichoke, spinach & egg drop soup, matzoah lasagnette, roasted salmon with beets, and a chocolate macaron torta. More information and reservations here. On Friday, April 19th, Equinox will host their Annual Community Passover Seder featuring a three-course prix-fixe menu of dishes created to honor the holiday; a plant-based menu will also be served. Tickets available here. Join Washington Parks & People and KonsiderDis Radio for our Annual Easter Egg Hunt on April 27th from 12-4pm at the Marvin Gaye Greening Center. We'll have a farm wide egg hunt, a petting zoo provided by Media Luna Farms, a DJ, food, fresh organic produce to be harvested, face painting, farm tours, games, a moon bounce, and much more! Tickets available here. Take part in the LINE DC’s Easter Egg Hunt on Saturday, April 20 and Sunday, April 21, from 9:00 am to 12:00 pm. From the hotel’s front steps to the front desk, keep an eye out for pink & yellow pastel mugs from The Cup We All Race 4, and golden eggs from the team at Brothers And Sisters. From Spring treats and cookies for kids to gift certificates for the grown-ups, Easter treasures will be hidden throughout the property. The Little Sesame team will host a weekend getaway to the Shenandoah Valley (Wild Sesame! ), bringing along a caravan of adventurous eaters to escape the city and explore the outdoors. The travelers will stay at Getaway cabins and get active with Outdoor Voices, who will curate immersive programming like a foraging and cocktail making class with a local herbalist, group yoga class and an outdoor cooking class. Newly-launched, modern kitchenware company, Great Jones, will feature their colorful cookware throughout the culinary portions of the event. Attendees will enjoy Getaway House’s campgrounds equipped with luxe cabins nestled in nature, as well as large family-style meals cooked over an open fire by Little Sesame’s chefs. Tickets and more info here.